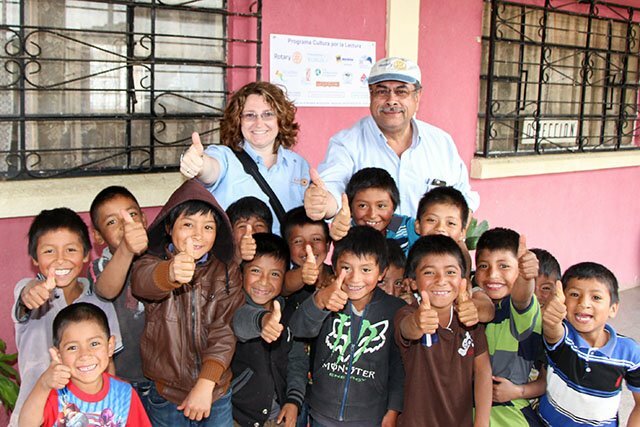 The Guatemala Literacy Project (GLP) is a network of individual Rotarians, Rotary clubs and districts, and the nonprofit organization Cooperative for Education (CoEd) with a common interest in improving education for underserved students in Guatemala. It is one of the largest grassroots, multi-club, multi-district projects in Rotary, with over 600 participating clubs since 1997. Click on the links below to check out the groups and individuals that make up the GLP. See a map of over 600 Rotary clubs that have supported the GLP. Meet our Advisory Board of Rotarians from around the world. Meet our expert partner organization of 20+ years, Cooperative for Education. Meet some of the most outstanding advocates for literacy in Guatemala.